Joinin, a new social network that helps people make the most of their free time with the things they love doing, is delighted to announce that world-renowned cricketer, Matthew Hoggard MBE, has become their Global Cricket Community Ambassador. Launched by joinin.com and CricketWorld.com, the Global Cricket Community – cricket.joinin.com – is for cricket players and fans everywhere. Cricket clubs also get an easy and free way to organize and promote their own events and activities with joinin’s powerful suite of free club organization tools. As cricket coaches, organizers and managers post new content, it is updated in real-time to the Global Cricket Community and the mobile app, giving an up-to-date, unparalleled view of what’s happening in cricket. Joinin’s free tools help cricket clubs to organize everything from training and managing fixtures, to collecting subs and selling tickets. Simple email and SMS services ensure that players turn up on time and they can chat and share photos securely with their team in their own ‘live feed’. Matthew will be interacting with fans and players daily in the Global Cricket Community feed cricket.joinin.com and joinin social media channels, chatting and posting views and content on cricket, coaching techniques and more, including interesting stories from his career in cricket. He will also be making personal appearances at cricket clubs and events. As Ambassador, on Thursday 30 January 2014, Matthew will be bowling the first ball of a record breaking net attempt. When fellow teammate Wayne Chessum survived two brain tumours, Dave Newman and Richard Wells of Billingborough Cricket Club in Lincolnshire made up their minds to break a world record. From 30th January to 1st February 2014, the pair will attempt to bat for 48 hours in the indoor nets at the Northgate Sports Centre in Sleaford. They are aiming to raise £10,000 in aid of Brain Tumour Research UK. Joinin is donating £1,000 towards the £10,000 target. Robin Brattel, CEO of joinin. CricketWorld.com is covering the event live and running a live auction during the event for Brain Tumour Research UK. Our goal is to bring people together in the real world – To help everyone spend more time doing the things they’re interested in, with like-minded others. 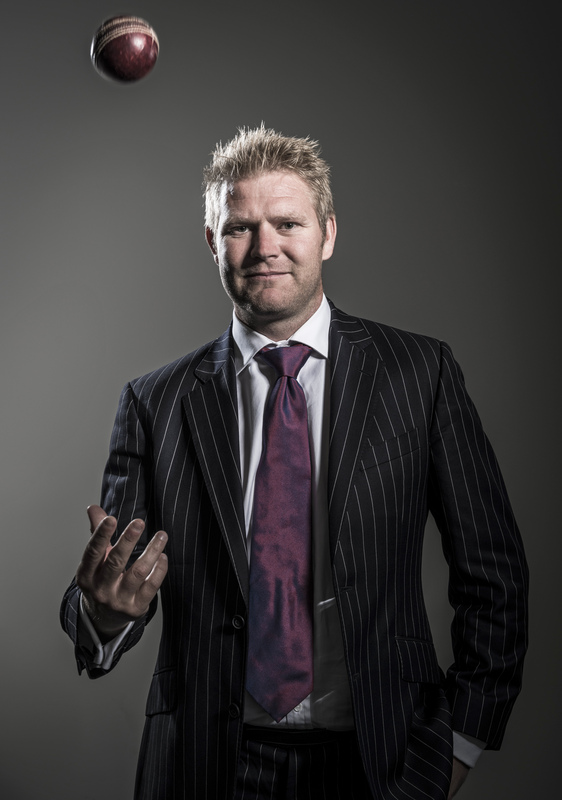 Matthew Hoggard MBE, is one of the most successful international cricketers to have played for England. He retired from playing First Class cricket in 2013 whilst at Leicestershire County Cricket Club where, after leaving his home county of Yorkshire at the end of the 2009 season, he had a successful period. He was a vital member of the inspirational England side that won the epic 2005 Ashes series and has been a model of consistency throughout his test and ODI career, representing his country on 93 occasions.